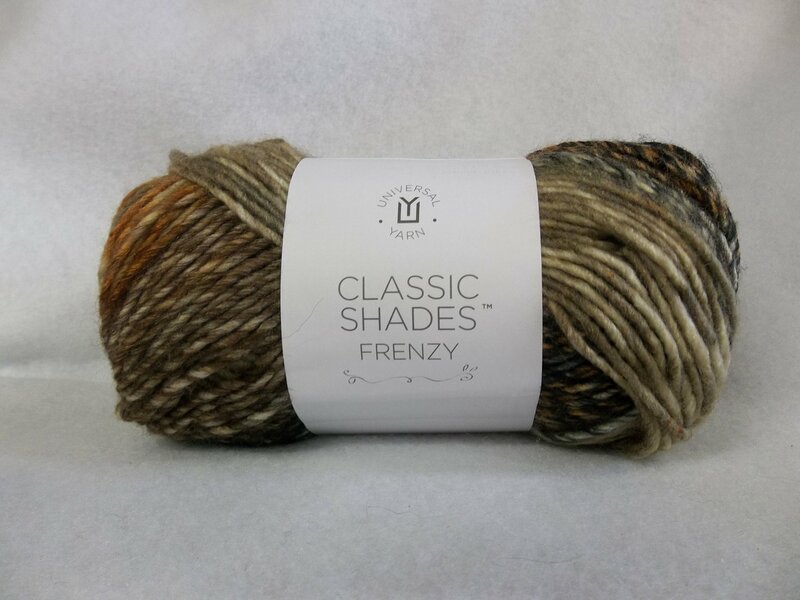 Classic Shade Frenzy is a beautiful self-striping yarn in a 70/30 acrylic/wool blend. It is a chunky and it is recommended that it be knit on a US 10.5 needle. The gauge is 13 sts. and 17 rows to 4 inches in stockinette stitch. Machine wash cold and lay flat to dry.